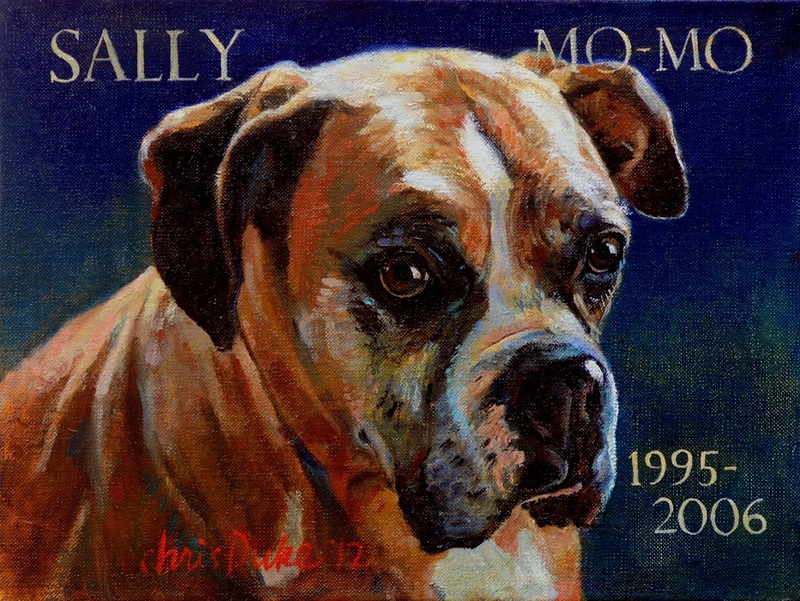 Sally Mo-Mo’s portrait was painted from a cellphone photo taken by her owner many years ago when Sally Mo-Mo was alive. Sally Mo-Mo was the family’s best dog ever, her owners say. We looked through Sally Mo-Mo's photo albums together to find an appropriate picture at eye level. The photo we chose was actually of Sally Mo-Mo in her backyard with pool paraphernalia behind. Art is advantageous in that one can formalize casual snapshots and create a dignified portrait befitting a beloved pet. The painting evokes warm memories for the owners every day as they see it in their living room.